"Cheapest quotes online. Easy to use." Courier insurance aims to protect you as a courier, as well as your van and its cargo. Couriers often transport valuable packages for their clients, and tend to spend significantly more time on the road than your average driver. This means that they’re exposed to more risks, which standard insurance policies may not cover. This is where courier insurance comes in. Designed specifically for the unique risks couriers are exposed to, this kind of policy could cover you if your cargo is lost, stolen or damaged in transit. 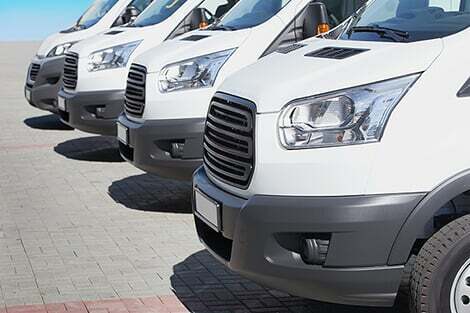 Courier van insurance is usually better suited to drivers who use their van for hire and reward – where you transport other people’s goods in exchange for money. If you use your van for haulage, then a goods in transit policy might work out better for you. The two policies are similar in nature, but each one is better suited to particular business uses. If your van and cargo are essential to your business, having the right type of cover in place in the event of damage, loss or theft could make all the difference. Standard van insurance policies may not give you adequate cover for this kind of driving, so a specialist courier van insurance policy might be more suitable. Why compare courier insurance quotes with Confused.com? As a courier, you’re transporting important and often valuable cargo on a daily basis. So it makes sense that you want to get the best cover in place to protect you and your business from loss. At Confused.com, we compare up to 50 trusted brands to get you our best deal in minutes. Looking for insurance for a specific manufacturer?